CHICAGO, September 12, 2017 - Today VTech® announces the availability of new Go! Go! Smart Wheels® and Go! Go! Smart Friends® playsets, offering engaging, multi-sensory learning through exciting new themes to provide children with endless adventures. The toys in the award-winning lines feature proprietary SmartPoint® and MagicPoint® technologies that truly bring the toys to life while teaching first words, letters and more as children explore cause and effect relationships. The colorful, interactive Go! Go! Smart Wheels playsets spark toddlers’ imaginations and encourage creativity while helping them explore concepts of cause and effect. They are designed to deliver important developmental benefits that help children reach social, emotional, language, cognitive, physical and motor milestones. As a child places a SmartPoint vehicle on SmartPoint locations found throughout the playsets, it will respond and engage children with lights, sounds and music. Kids will be in for a fast ride with the new Go! Go! 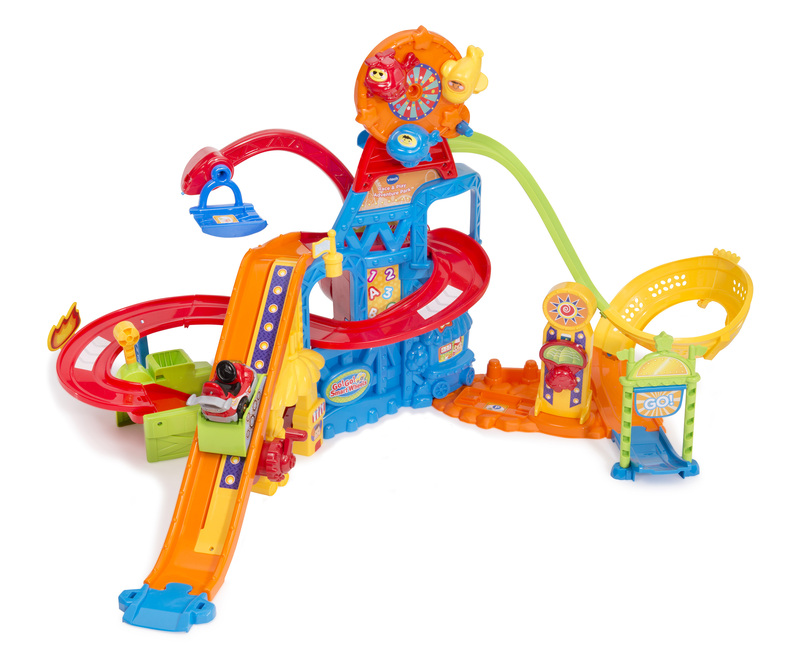 Smart Wheels Race & Play Adventure Park™, an action-packed roller coaster playset featuring a kid-powered ramp, catapult launcher, spinning Ferris wheel and even a 360 degree loop! And stunt racing has never been as much fun as with the Go! Go! Smart Wheels Press & Race™ Monster Truck Rally™, letting kids launch their Press & Race Monster Truck for engaging playtime with a fresh, fun theme. The new playsets also work with other Go! Go! Smart Wheels playsets (sold separately). 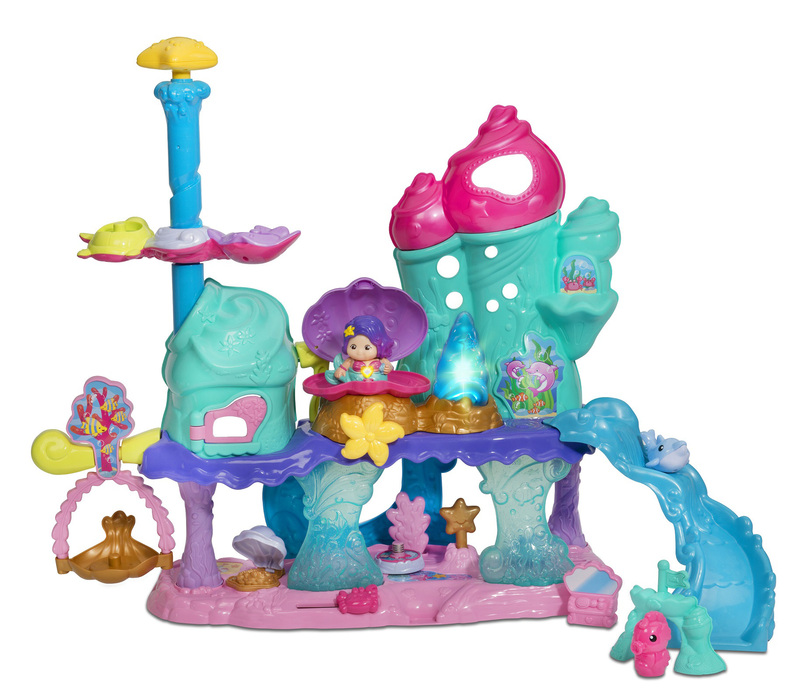 Offering a comprehensive, multi-faceted play experience while delivering manipulative play features and charming details, the new fantasy-themed Go! Go! 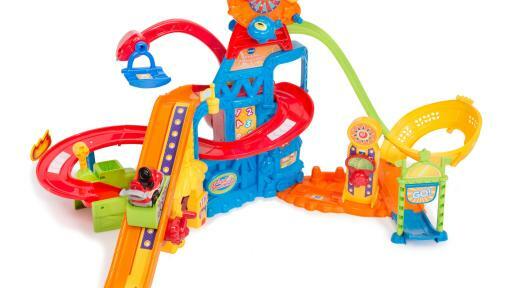 Smart Friends playsets are designed to captivate young children. 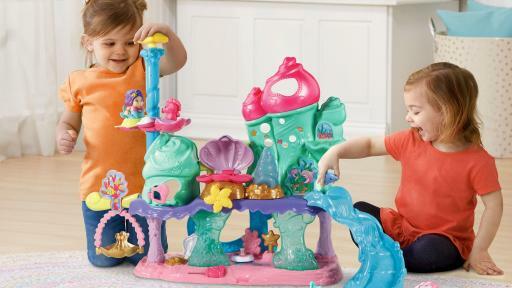 Kids can explore a magical mermaid world with Mermaid Pearl and her sea friends in the Go! Go! 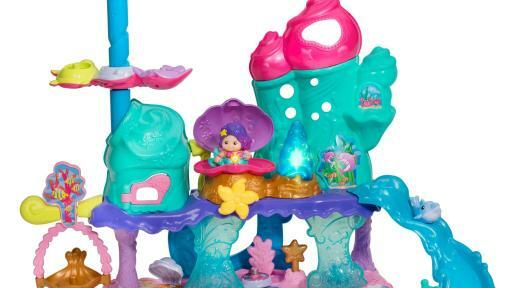 Smart Friends Shimmering Seashell Castle™, featuring three MagicPoint locations for children to interact with, boosting their imaginations and encouraging social play. When it’s time for a sweet treat, the Go! Go! 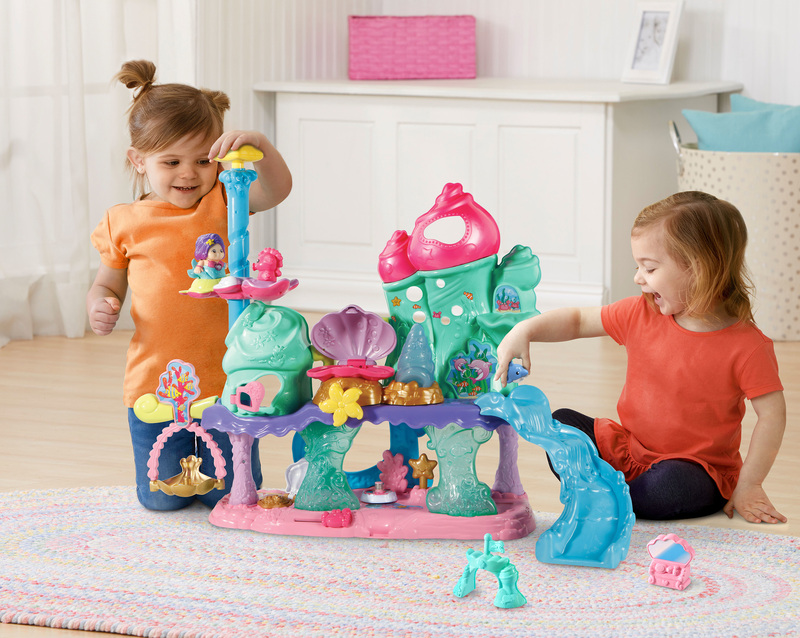 Smart Friends Sweet Surprises Treat Shoppe™ encourages little ones to explore two MagicPoint locations with Lollie and her best friend, Pop the puppy, as well as spin the colorful gears, slide the cherry topper and press the ice cream button to enhance fine motor skills. VTech is a world leader in age-appropriate and developmental stage-based electronic learning products for children. 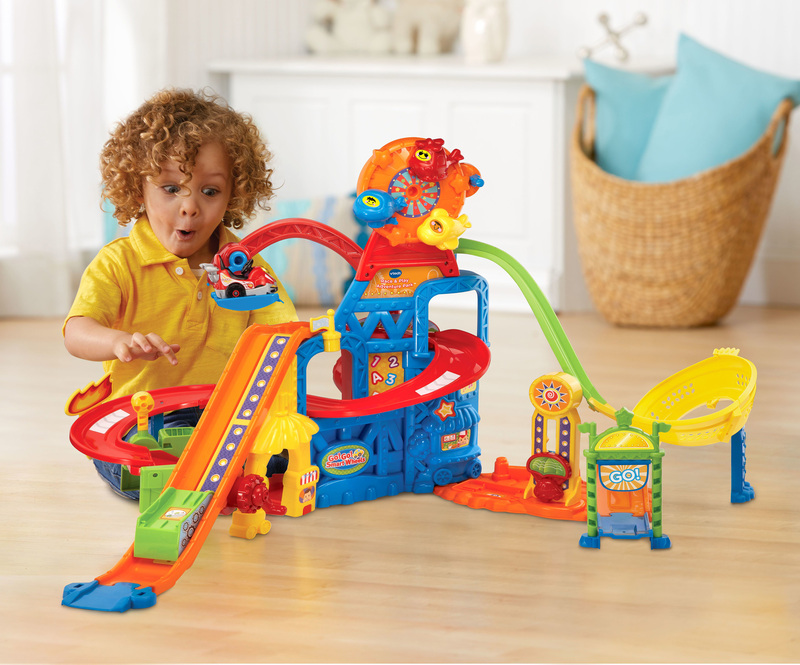 As a pioneer in the learning toy category, VTech develops high-quality, innovative educational products that enrich children’s development and make learning fun. 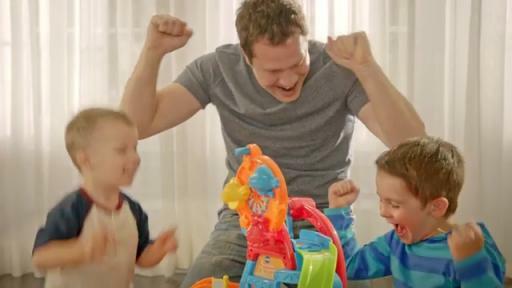 With a rich 40 year history, VTech has not only established itself as a learning authority but also consistently remains at the forefront of innovation with multiple award-winning products, including prestigious Toy of the Year (TOTY) Award winners. The company also has a broad range of award-winning infant, toddler and preschool products available in 31 different languages worldwide, with more than 100 new products introduced every year. In order to further strengthen VTech’s position as a learning authority, the company’s Expert Panel, with esteemed experts in reading, language arts, science, math, and child development, consult on new product introductions. 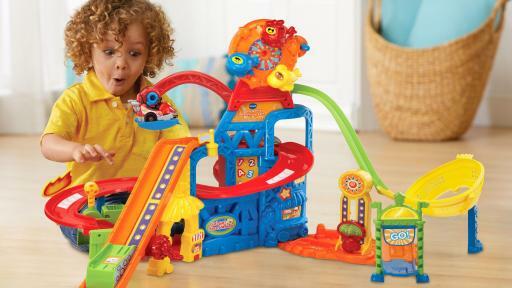 For more information about VTech’s electronic learning products, visit www.VTechKids.com, www.facebook.com/VTechtoys on Facebook or follow @VTechToys on Twitter.